With Readly you can read Building Your Own PC Complete Manual and thousands of other magazines on your tablet and smartphone. Get access to all with just one subscription. New releases and back issues – all included. Save money by building your own PC! Learn that building your own PC is rewarding in a number of ways, from the huge sense of satisfaction it gives, to the potential savings you can make. Whether you have never seen the inside of a computer or you have some basic knowledge, this guide is the perfect way to increase your understanding and bolster your confidence in PC building. 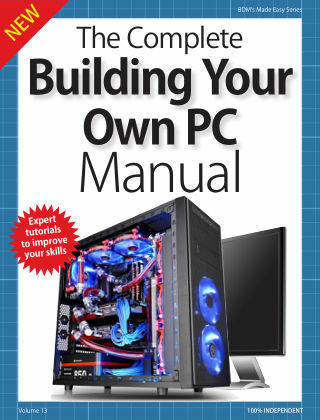 Helpfully broken up into three sections: Planning, Building, Software, this book is all you need to build a brilliant first PC.